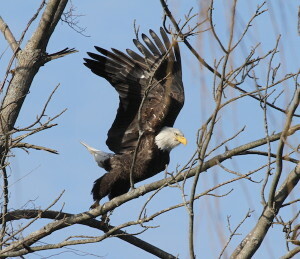 RiverQuest start Wildlife Eagle Boat Cruises Saturday, Feb. 4. 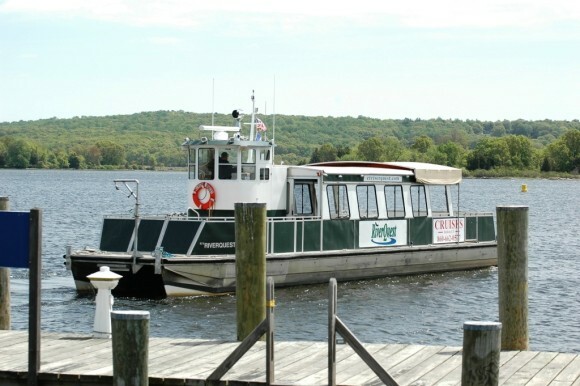 ESSEX –– Connecticut River Expeditions of Haddam offers cruises on the lower Connecticut River this February and March for the 14th year of Winter Wildlife Eagle Boat Cruises. This year they have teamed up with the Connecticut River Museum and will be departing from the Museum’s dock in Essex. With this partnership, passengers enjoy both the river and its wildlife from the water and also the entire Museum including their special “Eagles of Essex” exhibit. As the river, lakes and ponds to our north freeze, eagles and other wildlife make their way to the lower Connecticut River for their favorite food – fish. Eagles have made a major comeback over the past few decades and more eagles are being sighted in this area. On past cruises, up to 41 Bald Eagles, three types of grebe and swan and merganser, golden eagle, many different gull and hawk species, loons, coyote, fox, deer, three types of seal, and even a bobcat have been spotted. Winter Wildlife Eagle Boat Cruises include more than just big birds. 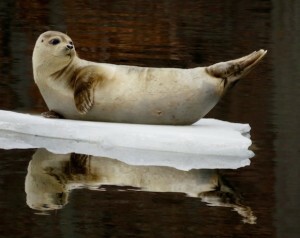 Passengers often site beautiful winter ducks and even harbor seals. Photo by: Bill Yule. RiverQuest has a heated cabin, but it is suggested that you dress in warm layers since the best views will be from the open decks. Bring your own camera and binoculars, but if you forget –or don’t have — them, there are plenty on board to borrow during the cruise. “There are few places as breathtaking or as tranquil as the Connecticut River in winter. We look forward to working with RiverQuest and sharing this experience with visitors,” says Chris Dobbs, Executive Director of the Connecticut River Museum. In the Museum you can brush up on your Bald Eagle facts and field identification. With life size comparisons of local raptors you will get a close up idea of how large these birds really are. You can also try your nest building skills and enjoy all the other exhibits the Connecticut River Museum has to offer. Additional eagle related public programs will be offered at the Museum during the Winter Wildlife Cruise season. Cruises will be Feb. 4 through March 19. Departures on Fridays are at 10am and 12:30pm. Departures on Saturday and Sunday at 9am, 11:30am and 2pm. Cost is $40 per person.